A dedicated approach is what is required the most while preparing for the IAS exam. And for the smart aspirants, it’s always rewarding to start the preparations early. Young minds are always full of energy and sharpness required to en-cash every precious attempt that comes in the way. 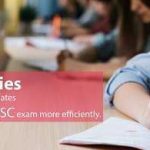 Thus, it’s always advantageous for the college pass-outs or final year students to start the UPSC exam preparation early, without even missing the thrill and fun associated with the college life. Prioritize the things. During your early days of preparation, you have to learn, how to prepare IAS exam while managing your regular college classes. Unlike those aspirants who had dedicated a complete year of preparation, you people are bound by the time constraints. Thus, you have to learn to prioritize the things according to their importance. Consume your free time. It’s quite obvious that you get free time during your college hours. You might spend most of your free time while sitting in the library or while waiting for the bus. Why not consume these free hours into something intuitive. Check out the online learning resources available for the Civil Service Exam preparation. Use your free time in reading. This will certainly help you a lot in future. Why wait for the last day? Practice it today. Being in college can make you edgy on shifting the practice sessions either for the free hours or for the last few days, before the exam. Why do so? Just take out a pen and paper and start writing, whenever you feel an urge to do so. You can easily groom up your writing skills and polish them well, before the exam. On the final note, don’t forget to have a glimpse of those long group discussions during college days. Such things will keep you prepared and updated on the current issues and guides you a lot for the best IAS preparation. The Civil Services Examination is conducted by Union Public Service Commission (UPSC) to screen the candidates for the prestigious civil services at the central level. The candidate, are screened at three stages viz Prelims, Mains, and Interview. This article is all about the approaches to various levels, books to be followed and recent trends of the examination. What are Prelims all about? The Preliminary stage consists of two papers i.e. Paper-I (General Studies) & Paper-II [Civil Services Aptitude Test (CSAT)]. Paper-I consists of 100 MCQs of 2 marks each (Total 200 marks) and Paper-II of 80 MCQs of 2.5 marks each. Negative marking is 1/3rd of the marks assigned to each question. The Paper-II, which is of 200 marks, is qualifying in nature and will not be counted in deciding merit. One has to score 33% marks i.e. 67 marks (approve) to qualify this exam. What are the subjects/topics needed to be studied for Paper-I & Paper-II and books for reference? (b) Elite IAS monthly current affairs monthly magazine. As we know that the merit is decided solely by Paper-I, students majorly focus on this paper. Since the past two years, UPSC has been increasingly asking a question based on current events, both National & International. In 2015 prelims paper around 30-40 question were based on current events and in 2016, a whopping 60-70 questions. However, it does not mean that in 2017, the weight of current affairs will increase or remain the same as in 2016. The candidate should not bypass the basic concepts and straight away jump to current affairs. One should be prepared holistically i.e. one should prepare the basic concepts, the current events and should also be able to co-relate basic concepts with current events. This is a foolproof strategy to counter the unpredictable nature of the examination. The Paper-II is relatively easy as one has to score only 67 marks out of 200. One should bank upon his/her strengths and attempt the paper accordingly. If you are not sure about the answers then it is always better to leave them. Attempt only these questions that you are sure of. But on the safer side, one should aim somewhere between 120-130. In Paper-I. and around 100 (at least) in Paper-II should be targeted. What is Mains all about? The Mains examination comprises of 9 subjective exams. 2 of them are English and one regional language. Both of them are qualifying in nature for compulsory English, one needs to score 75 out of 300 & for the regional language, the qualifying score is 90 out of 300. Note: if the candidate does not qualify in these two exams the rest 7 paper will not be evaluated i.e. General Studies I, II, III, IV, Essay, & Optional I & Optional II. All these 7 exams are 250 marks each and need to be attempted in 3 hours. The following section deals with the approach to all the General Studies papers & Essay. • History, which included World history too. History: same as that of preliminary stage. World History: NCERT by Arjun Dev. Geography: Same as that of preliminary exam. Additional notes on world resources to be studies via institute notes. Indian Society: Institute notes are more than enough. The exam is more or so static and not as such linked with current affairs. It is scoring too. Getting 100 in this paper is considered to be a good score. This exam is very dynamic in nature and is mostly based on current events. Hence, the candidate needs to prepare accordingly. Newspapers & monthly magazine of current affairs will be quite helpful for approaching this paper. However, the basic concepts should not be ignored. 80-90 marks out of 250 is a decent score on this exam. (ii) Institute notes for disaster management. G.S. Paper IV: This paper is a unique one. It comprises of two sections i.e. Section-I. it consists of the question based on concepts of ethics, attitude, aptitude, emotional, intelligence and such like. It also consists of theories and saying of eminent thinkers & leaders like Gandhi, Weber, John Raul, and such like. Section II comprises of case studies which need to be answered accordingly. This section is the most scoring among the two. The score of around 90-100 is a decent score in this exam. The first step is to choose wisely and according to one’s own zone of comfort the topic on which essay should be written. It involves all the knowledge of a candidate encompassing all the subjects he/she studies for General Studies & Optional (if applicable). The essay should by diverse balanced and comprehensive. It should be updated with current events if possible and properly concluded. It is a scoring paper and a decent score is around 120 out of 250 in this paper. This was all about General Studies & Essay. But the real game changes is the optional paper. The candidate should aim to score around 250 out to 500 (2 papers of 250 marks each) in the optional paper. Note: The mains exam is not all about mental strength but also about physical strength too. The candidate has to appear for two exams per day and there is hardly any gap between the exams. It is all about your personality. One sincere tip for this stage is: Be yourself and do not take. The exam is one of the toughest one on Earth. Level of uncertainty is quite high, but this should not let the candidate deviate from his/her goal. Efforts in the right directions the key to success. And we, here at Elite IAS are dedicated to guiding the students in the right direction. We do it through classroom teaching. All India Test Series, Online Courses (Interactive) and personal assistance if sought by the candidate. Those who are willing to pursue a career in coveted civil services should start preparing with a rock solid strategy and firm dedication.